The Bellagio is one of the most famous hotels on the Las Vegas strip (if not the world), and for good reason. As one of the most lavish, luxurious hotels in the world, you could easily spend a full day in the hotel and still feel like you haven’t seen everything it offers. 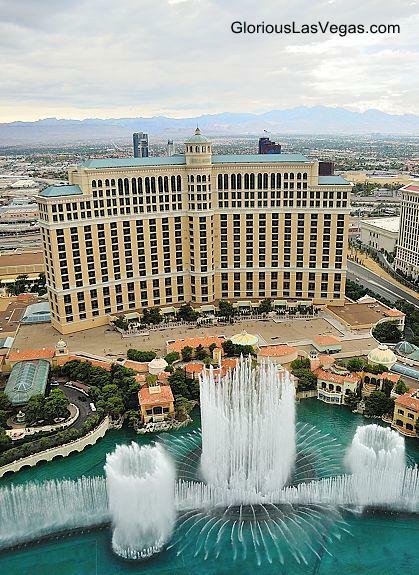 The Bellagio is more than just its famous fountains – much more. Whether you’re staying in one of the 4,000 rooms or just visiting the hotel to see its grand opulence, here are ten things you have to see. First things first, make sure you look up when you arrive around 2,000 hand blown glass flowers decorate the ceiling in the lobby if youre a fan of glass flowers or not, this is definitely worth a look as its typical of the amazing attention to detail throughout this hotel. Relax the day away with a few hours by one of the 5 gorgeous swimming pools. Private cabanas are available on request for groups of up to 8 people and a poolside massage will convince you you’ve landed in Vegas Heaven. If you’re a fan of cocktails make sure you try the signature Bellagio Mojito from the Pool Bar, infused with fresh blueberries, blackberries, raspberries and mint. If you like your chocolate and pastries, no visit to the Bellagio is complete without a visit to Jean Phillippe’s patisserie. Even if you can resist trying some of his amazing chocolate or cakes, you’ll be drooling over his chocolate fountain which stretches from the floor to the ceiling and has been verified by the Guinness Book of Records as the largest in the world. 4). Afternoon tea – how very civilised! Enjoy the finer things in life with a traditional English afternoon tea in the Petrossian Bar and Lounge. Available every afternoon between 2-5pm, afternoon tea includes open sandwiches, freshly baked scones (served with clotted cream and jam, obviously), delicate pastries and an assortment of teas. Relax and enjoy your pot of Earl Grey while watching the world go by in the casino below. Bellagio really doesn’t do Vegas like the rest of Vegas does, which is perfect if you don’t either! Flowers are replaced fortnightly to ensure they look at their absolute best and the whole area is re-landscaped five times a year. A vast array of flowers, plants, water features, bridges and gazebos make this a welcome haven of peaceful beauty in contrast to the madness of the strip outside. See the world-reknowned Cirque du Soleil performing “O”. In residence at the Bellagio since 1998, this is a spectacular show that is set in and above water and includes high diving, contortionists, trapeze and synchronised swimming. There are two shows nightly and it’s not cheap, but if you’re a fan of Cirque du Soleil itis well worth a visit. 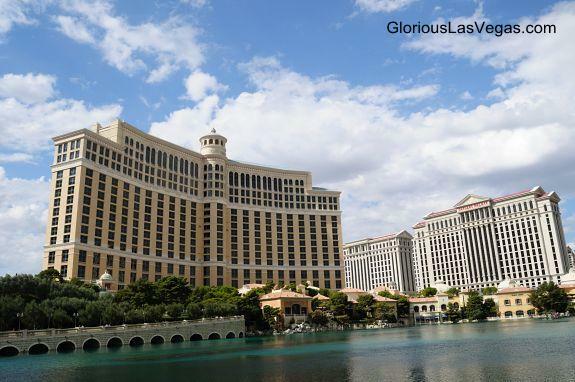 Whatever your tastes you’ll find a food place to suit you in the Bellagio – from the Italian Circo to the French Le Cirque, there’s a variety of high-end restaurants to choose from, as well as some more relaxed choices, such as the Cafe Bellagio. Of course, in a hotel of opulence and luxury, you’d iimagine the shops would be a bit special, and you’d be right! Like most hotels on the Strip, the Bellagio has its own shops called Via Bellagio, but unlike many others, they’re all upmarket designer stores. So do some top class window shopping (or spend your winnings! ), with boutiques including Giorgio Armani, Chanel, Dior, Fendi, Prada, Tiffany & Co and Gucci. 10). Of course, the fountains! One of the best free shows in Vegas, the Fountains of Bellagio are a truly stunning visual spectacle. Spanning an 8 acre lake in front of the hotel, the regular shows (every 15 or 30 minutes depending on time of day) combine water, music and light to create a really unique and uplifting experience. I’d recommend watching the show two or three times as it’s different each time – and it’s definitely worth watching from different vantage points and at different times of the day. Directly in front of the hotel gives you a great view, but it’s also worth watching them from the Bellagio’s lake-side bar patio the Fontana – and from a front-facing hotel room if you’re lucky enough to have one. And if you want the best setting for taking pics, make sure you stand immediately in front of the hotel looking out towards the Strip – Paris Hotel is directly behind, so you get some superb shots of the fountains with the Eiffel Tower in the background. Absolutely stunning!